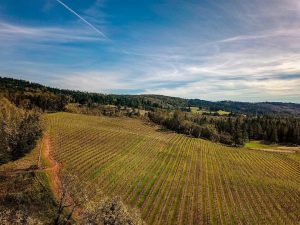 We are pleased to introduce Delfino Vineyard, the source for our 2018 Tempranillo in Umpqua Valley. This Spanish grape typically produces a medium to full bodied wine with medium tannins and acid. Often with notes of leather, cherries, fig, cedar and tobacco. Southern Oregon and more specifically, Umpqua Valley has become known as a top growing region for Tempranillo in the United States. Tempranillo thrives in cool to intermediate climates with high diurnal temperature ranges which make it well suited for the Umpqua Valley.